I'm a BIG fan of kale. I totally jumped on the bandwagon and now order a kale salad (only when arugula isn't on the menu) every chance I get. However, ordering what many call a "garnish" still somehow solicits looks from my friends and family, even as I happily chew (and chew, and chew....) away on my delightful salad. A few years ago, I remember making these for myself one night when I realized I had nothing in the fridge BUT kale. I heard about kale chips before, so I hopped onto Pinterest and found no shortage of various recipes and ideas. Recently, I wanted to make these again as part of convincing my family that kale isn't ALWAYS so chewy and "green-tasting" (their words). 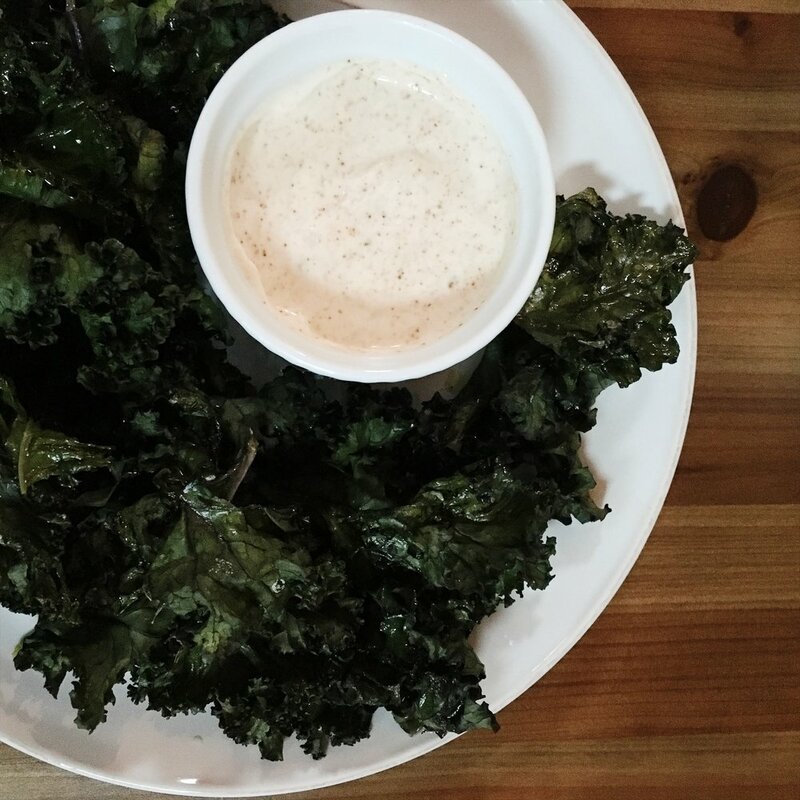 We bought a bunch of kale, and with my mom's help, came up with a great aioli that perfectly compliments this simple "chip". Serve fresh out of the oven after slightly cooling and enjoy these light and crispy delights!